Chow and Chatter: If NYC can Do It: So Can We! New York City made it a law to make restaurants eliminate trans fats. 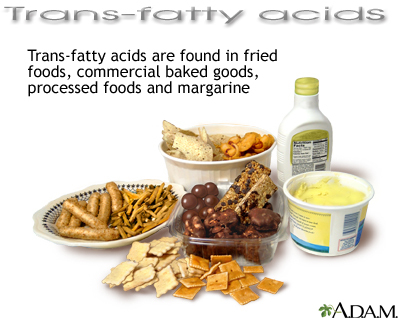 These fats are found in stick margarine's, a lot of baking goods, some cooking oils and many convenience foods. They are linked with a higher risk of heart disease by raising LDL cholesterol and lowering HDL (good). In fact just a 2% increase in trans fat consumption can raise the risk of cardiovascular disease by a staggering 23%. In NYC trans fats in baking, frying, cooking and in spreads has declined from 50% to 2%, think of the positive long term health benefits for New Yorkers. In fact California and other States also followed suit. So why not make a similar good for you rule in your home today! Great idea. We all need to pay more attention to the fat content in our diet and what type of fat we're eating. Thanks for the info, Rebecca!